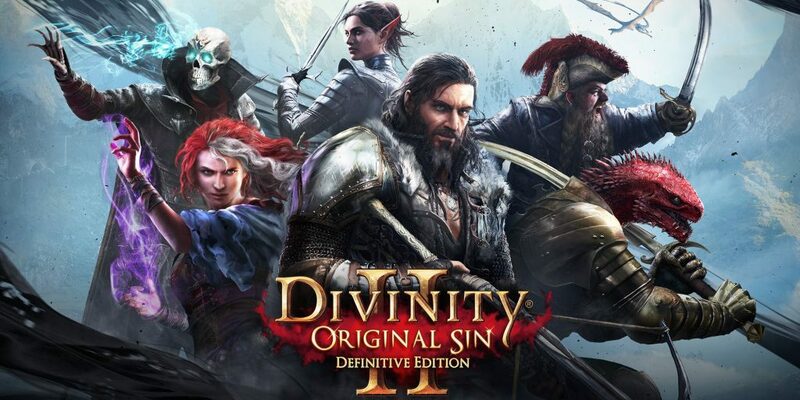 It would bring us shame if we would not cover the definitive edition of Original Sin 2 hitting the consoles, as Larian Studios is actually based in Belgium, as are we. The studio has become quite known because of the Divinity series, and it seems they aren’t fresh out of ideas just yet for this franchise. We were quite curious to see the very expansive RPG series return, and on consoles for that matter. We once again found ourselves in a fantasy world, where one conversation would immediately be followed by another, only to keep us occupied for many hours on end, filling our heads with stories of another world. 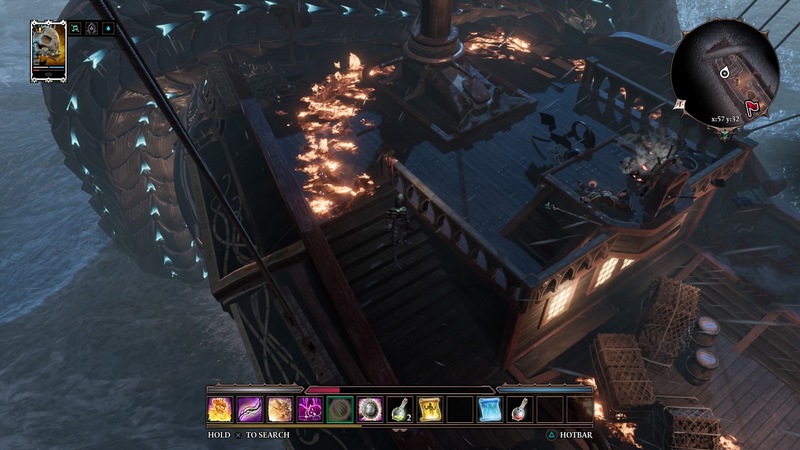 We hesitated between a proper character, or a spooky undead, and then we found ourselves in the conflict between the common man and sourcerers, who aren’t all the loved in the world Original Sin 2. You’ll be thrown into a somewhat medieval-like world for Divinity: Original Sin 2. This is a world where magic users are called sourcerers and they are feared for their powers, as their incantations will attract the attention of horrible monsters who destroy everything in their path(s). You, are one of these sourcerers, and you’re being fitted a collar that suppresses your magic powers. Your character can be one of many premade characters, who all have a backstory and their own personal traits, or you can opt to create your own character that tries to fit into this world. Nonetheless, you find yourself on a ship filled with mages such as yourself, collared and shoved into tight spaces all under the watchful eye of the magisters who try to keep you in check. Of course, things go south on the boat, and before you know it, you find yourself stranded on the island of Fort Joy, a place where sourcerers are sent off to, to be ‘cured’. It’s up to you to find out the truth and escape with your life, and perhaps that of those who join your cause. 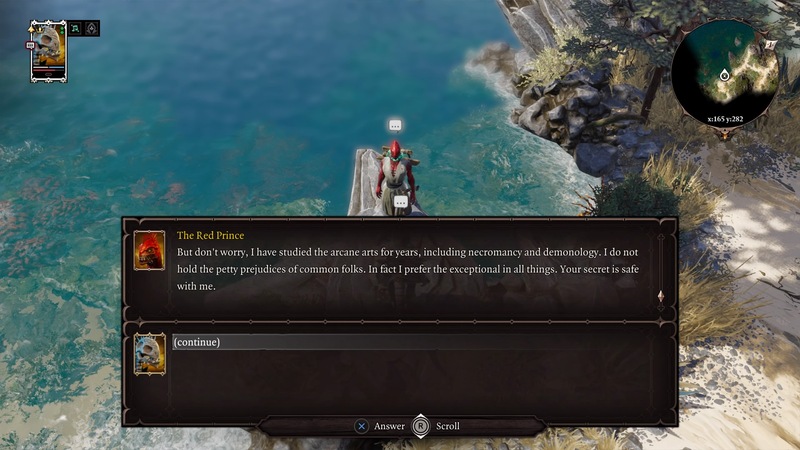 The presentation of the story in Original Sin 2 is phenomenal, mainly due to all the voiced dialogue the game has to offer. Every character in the game has some spoken lines, even those that might not actually provide you with any relevant information. The game is told by whoever crosses your path and that is what makes this title so very likeable. While the cutscenes also do the trick, the true stars are the many NPC in this somewhat sad world. Original Sin 2 is picturesque to say the least. All environments are well crafted, the different areas all have their quirks, a lot of clutter and a lot to take in when it comes to the different routes, the overall scenery and the many characters you’ll find scattered throughout the world. Not one character seems to be the same, and there are plenty to uncover when you explore the world of Original Sin 2. The game is extremely vibrant when it needs to be, but can be equally as grim when the situation desires it. The menus are all clear and provide a proper oversight when you get the hang of them. The atmosphere is just right and this is mainly because of the isometric view that suits a fairly ‘old school’ game such as this. The music in the game is very likeable, subtle, but also bombastic enough when it needs to be. While the soundtrack is very cinematic and impressive, it’s quite astonishing that the entire game is fully voiced. Even the parts that are narrated, such as the overall description of the character(s) standing before you, are completely voiced. Only your replies are mute in this title, which isn’t really a bad thing. The voices all sound convincing, but are sometimes overacted, which actually adds a whiff of humor to many of the conversations, which certainly created a proper appealing undertone. Overall the sound department can make or break a game, but in this case it does a lot more than simply ‘make’ this game. 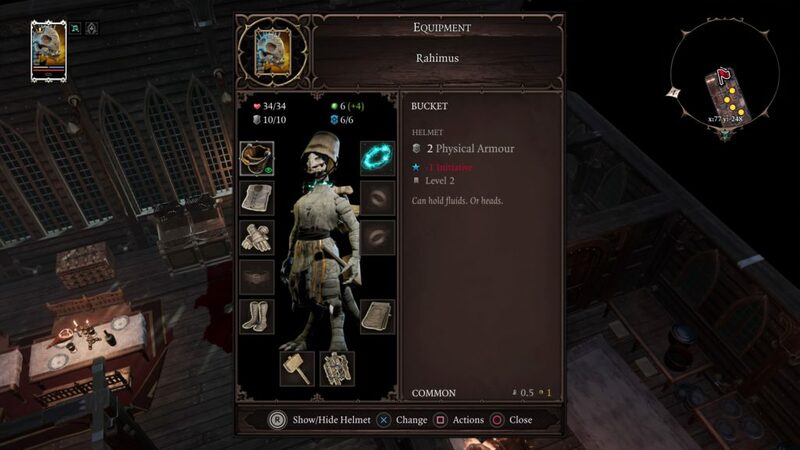 Divinity: Original Sin 2 is a traditional RPG that feels as old school as it can get, with improved and up-to-date mechanics, blasting the genre into the next generation. You’ll be occupied exploring the world around you, all while trying to escape the chains you’ve received for possessing a power that everyone seems to fear. You’ll roam around the world you’re forced in, talking to many characters, fighting even more foes, leveling up, finding items and of course gaining experience to always become stronger and stronger, hopefully with some party members at your side. You’ll quickly notice that there’s an entire world at your feet when playing this game. While some areas may not be that expansive, all the characters you can talk to will certainly enlarge the world around you. The game has a lot of conversation options, not only for you, but if you so desire, for your party members as well. A lot of the game’s charm lies in the many conversations you can have, as this is certainly a great part of the narrative as well. If you’re not an explorer, or you just want to dive into the combat all the time, then we think this game might have a bit too much content pushed in the conversations. Combat follows a very typical turn based format, in which you have action points that allow you to move, attack, cast spells, etc. The system is very straightforward, but you’ll quickly notice that the enemies are quite relentless, making it so that the game is easier to manage when you have a few party members at your side. 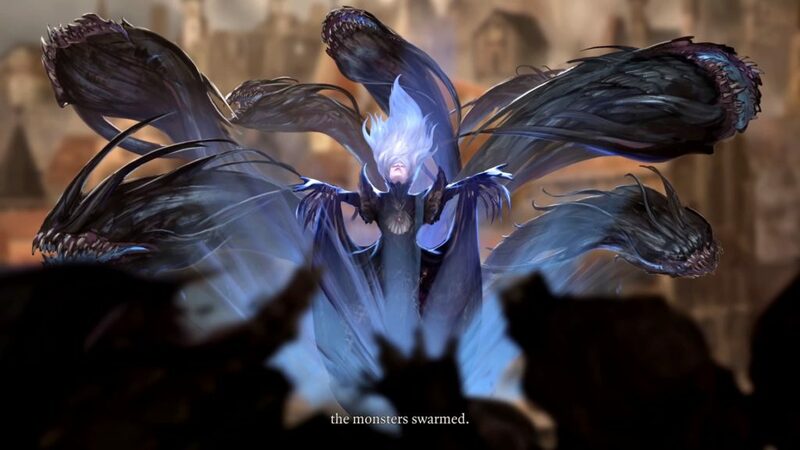 When playing alone, the enemy will have more turns to obliterate you, but luckily some characters can summon critters which can help get through the early stages of the game. Overall, the combat is simple, but it is interesting enough to become rather exciting the further you get. Divinity: Original Sin 2: Definitive Edition is a stellar game to add to your collection. Not only will you get all the available content, which is certainly a plus, you’ll get a story in which you can properly immerse, sturdy gameplay mechanics, a lot of exploring to do, and satisfying battles to wade through, all while building your party. If you’re looking for a grand adventure done in the style of many old school RPG games, then we’re certain this one will blow your mind.